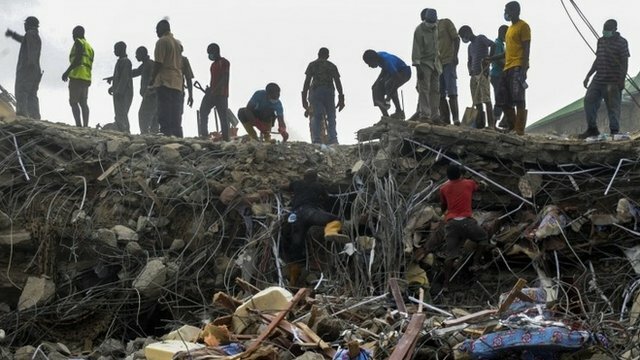 There was still no news on when the bodies of more than 80 South Africans killed in a building collapse in Nigeria will come home, a government spokesperson said on Wednesday. “We still don’t know. Even as we speak now the laboratory [in Lagos] has not given us an update,” Phumla Williams said. Williams said once they get new information on those killed when the Synagogue Church of all Nations building collapse, a media briefing would be called. On 12 October, the City Press quoted a Nigerian medical examiner as saying the bodies would be home by the end of the month. “We are looking at three weeks,” Professor John Obafunwa, chief medical examiner of Lagos State was quoted as saying. Obafunwa was overseeing the identification process and was speaking from Lagos University Teaching Hospital, where some of the remains were being kept. Obafunwa said the autopsies had been completed and samples were shipped out for DNA analysis. He said the process of identification had been slow because Nigeria did not have facilities to analyse DNA. On 12 September, 116 people, among them 84 South Africans, were killed when a multi-storey guesthouse attached to the church collapsed in Lagos. The church is run by Nigerian preacher TB Joshua. An inquest into the deaths began in mid-October in Nigeria. Joshua is one of the witnesses subpoenaed to attend the inquest at the Ikeja High Court, according to the City Press.